The CHIP computer is available this year. CHIP -- a tiny computer with an even tinier $9 price tag - may be one of the cheapest but most versatile pieces of technology at CES this year. After a successful Kickstarter last year, CHIP is beginning to ship to customers this month -- and the ideas for what to do with the computer are already coming to fruition. “We really didn’t know what we wanted to make, we just knew we wanted to make computer powered projects," Richard Reininger vice president of marketing with Next Thing Co., which makes CHIP, told ABC News. The computer brings with it the same spirit of Raspberry Pi, another computer that has long been popular in the maker movement. The latest Raspberry Pi computer released in November cost $5 and is the size of a stick of gum. Reininger said CHIP has a built-in WiFi Bluetooth chip-set and 4 GB of storage. The bare bones computer attaches to any screen, a keyboard and a mouse to allow users to get online. Connect CHIP to Bluetooth controllers and a monitor to play games. (ABC News) Chip is a $9 computer that can be used to build new projects. While it is a fully functioning computer -- the fun really begins when techies get creative about how they want to use the computer. 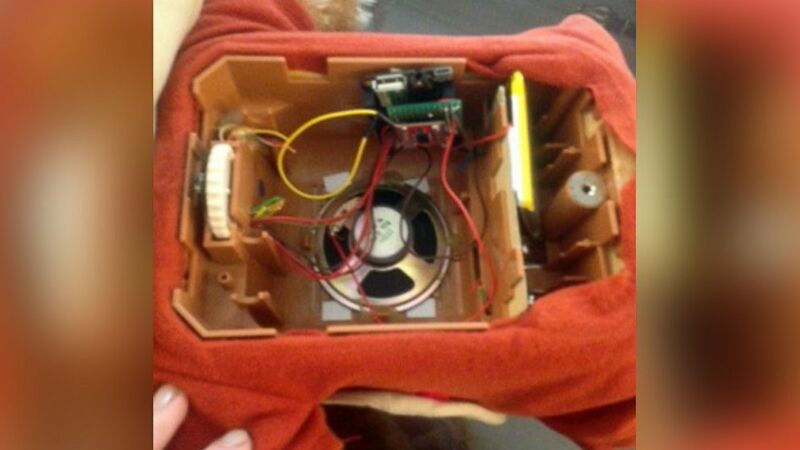 Reininger showed ABC News how his team hacked an old animatronic Teddy Ruxpin bear by ripping out an old circuit board and with a few steps, integrating the CHIP computer. "I can then use my phone to tell him what to say," Reininger said. 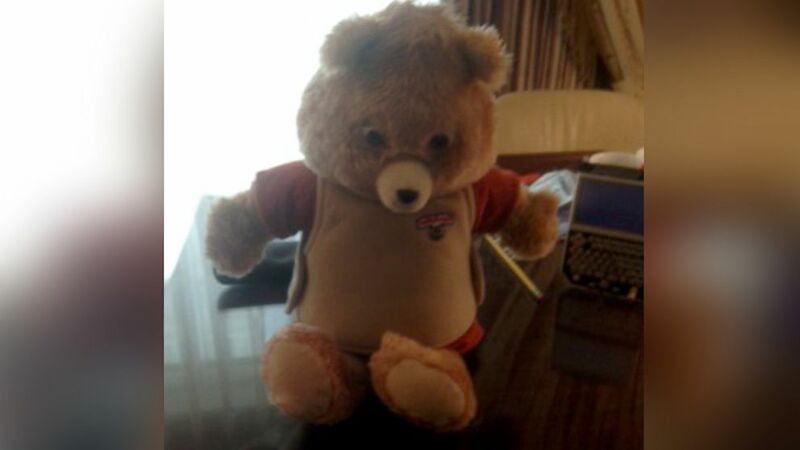 He typed messages which Teddy Ruxpin repeated out loud. He even knew how to access a Twitter account to read some of a person's tweets. 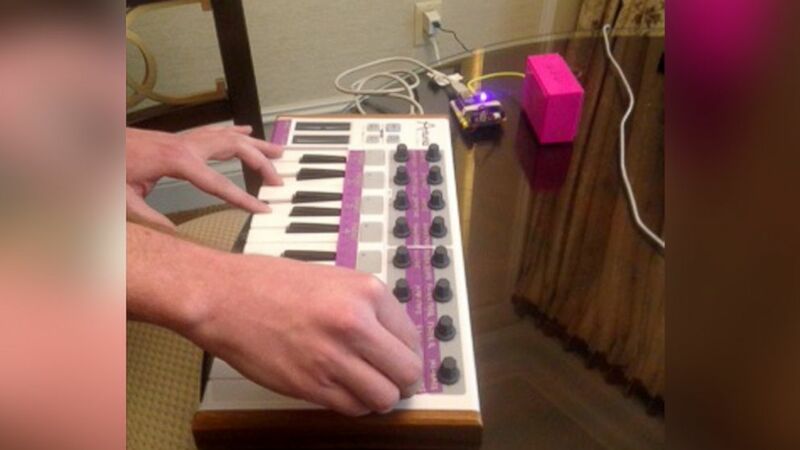 CHIP also powered a homemade synthesizer, using a keyboard and a mini Bluetooth speaker to create music. Another cool hack Reininger showed off was the ability for people to take old technology and make it smart. Basic speakers that require someone to manually turn them on can be made smart with CHIP integration, allowing a user to control them from another device. How did the creators get the cost as low as a sandwich and a soda? "By using common, available, and volume-produced processor, memory, and wifi chips, we are able to leverage the scales at which tablet manufacturers operate to get everyone the best price," the team said on Kickstarter, adding that in order to make it at that price they had to order tens of thousands of the tiny computers. People interested in trying chip can visit GetChip.com.